I’ve been looking forward to this project since before it even began. 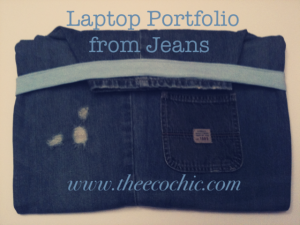 I found one idea in the Reinvention book that I reviewed a few days ago for a portfolio or laptop/iPad case. The original project was with 2 layers of linen and a single layer of batting in the middle to absorb shock. I immediately knew I wanted to make this with denim. I’ve never worked with denim before and the thought of it scared me because of how thick it is. I cut out my pattern and fabric, piecing it together as described in the book. It was great until I got to the final step which required me to sew 4 layers of denim and 1 layer of batting. 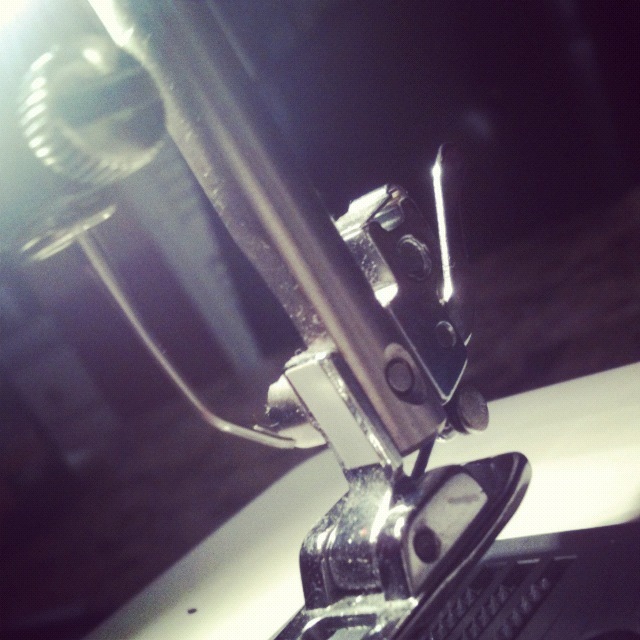 It’s thicker than my sewing machine will allow to slide through. Gah!! Anyone have any tips or tutorials for sewing denim?? Single layers are easy but when you get more than 2 layers it’s impossible. I even broke a needle in the process. 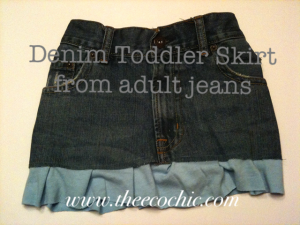 I was left with the top part of the jeans and decided to make it a little smaller and sew a denim skirt for my toddler. I added a little t-shirt ruffle at the bottom. I’m praying that it fits her ok – she’s still sleeping and I used one of her existing skirts as a template. I’m not really happy with the way the back ended up so I may be looking for a cute applique this weekend. The pair of jeans that were used in this project were a pair of my husbands old jeans that he doesn’t wear any more. 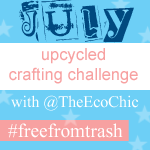 This post is part of the Upcycled Crafting Challenge (#freefromtrash) that I’m hosting this month. It’s part of a one month challenge to create from trash. 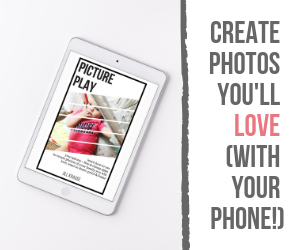 This challenge will hopefully open your eyes to the number of items that we still end up trashing every day that could be used by ourselves or our kids to create fun and useful items.